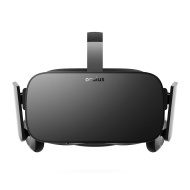 alaTest has collected and analyzed 736 reviews of Oculus Rift. The average rating for this product is 4.4/5, compared to an average rating of 4.4/5 for other products in the same category for all reviews. We analyzed user and expert ratings, product age and more factors. Compared to other products in the same category the Oculus Rift is awarded an overall alaScore™ of 99/100 = Excellent quality. alaTest has collected and analyzed 22 user reviews of Oculus Rift from Amazon.co.uk. The average user rating for this product is 3.6/5, compared to an average user rating of 3.8/5 for other products in the same category on Amazon.co.uk. 68% of the reviews on Amazon.co.uk give this product a positive rating. VR is still a very young platform, and no headset has managed to so far get it 100% right. The lack of interesting games, despite an impressive increase in numbers, makes the platform feel underdeveloped as a whole. Minecraft on Oculus Rift preview: VR heaven or just a load of old blocks?